Sell Sony Playstation 4 | How Much is My Sony Playstation 4 Worth? Select the information above in order to receive an accurate quote for the Sony Playstation 4 you want to sell. Click sell item if you agree with the price that is displayed. GreenBuyback purchases cell phones, tablets, and laptops at the highest prices in the industry! GreenBuyback pays cash for your old cell phones, tablets, and laptops. When you sell your cell phone, tablet, or laptop to GreenBuyback you will never have to pay for shipping. GreenBuyback is dedicated to maximizing the cash back to our customers. Sell your Sony Playstation 4 for top dollar at GreenBuyback. All quotes outlined above are good for 30 days upon checkout. Once you have completed the checkout process simply print the shipping label, box your item(s), and ship them free of charge to us. The faster you ship the item(s) to us the quicker you get to get paid! Sell your Sony Playstation 4 for cash today! The highly anticipated Playstation 4 was released in November 2016 to much fanfare. The console outputs a 4K- and HDR signal that's compatible with high-end TVs. 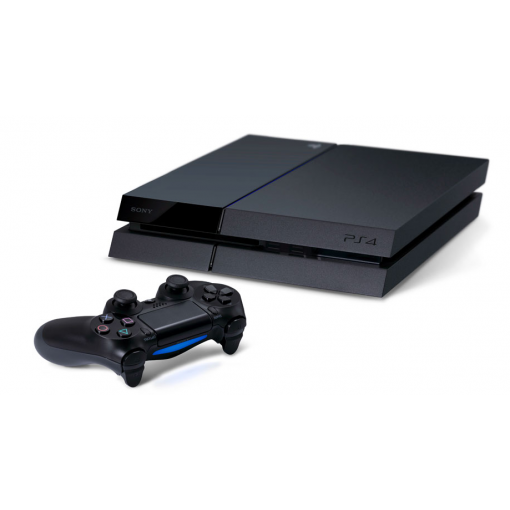 The Playstation 4 also boasts improved visuals and increased frame rates for games. This will take the cinematic experience of a Playstation game to the next level. Selling a Sony Playstation 4 is so easy with GreenBuyback; send your Sony Playstation 4 to GreenBuyback with free shipping and you’ll get cash sent to you fast! As a nice feature amongst improvements and upgrades, the Playstation 4 supports all previous games made for the console, apps, and accessories used on previous Playstation iterations. If you are getting this for yourself or getting this as a gift, the Playstation 4 is the console of choice for video game aficionados the world over. GreenBuyback will buy your Sony Playstation 4 in any condition, even broken! Simply head to GreenBuyback to get a quote, send your Sony Playstation 4 in, and get cash quick!